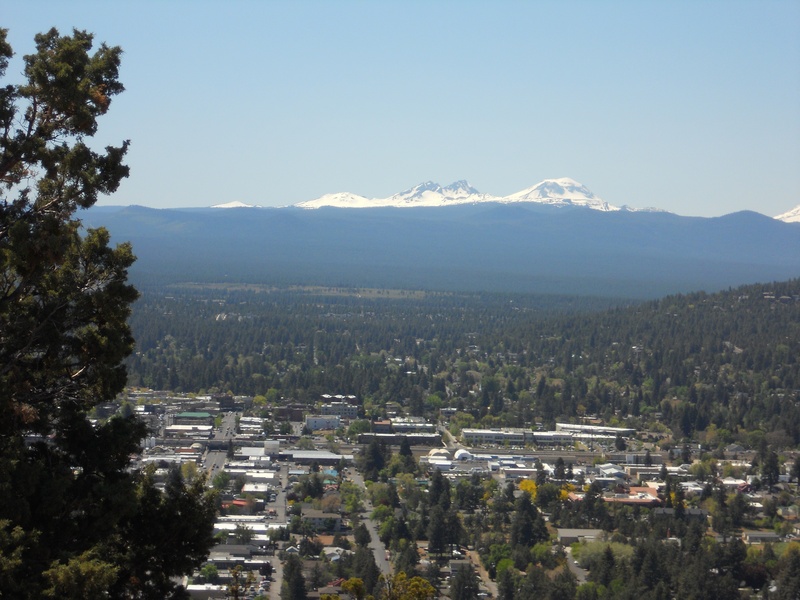 Viewed from the south with Bend, Oregon to the east, the Sisters are a part of the Cascade Volcanic Arc. 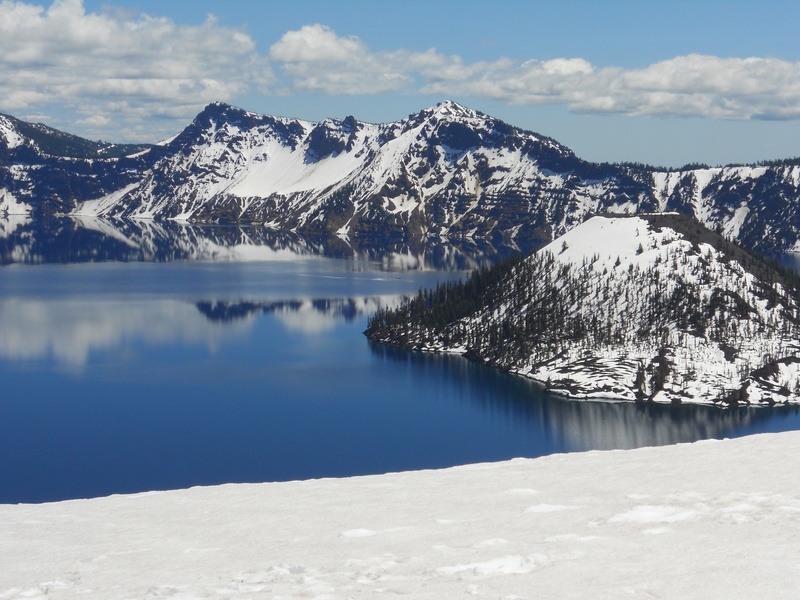 This blog post emphasizes volcanoes in Oregon. Craters, green landscapes, volcanoes, and lava flows make for good pics. 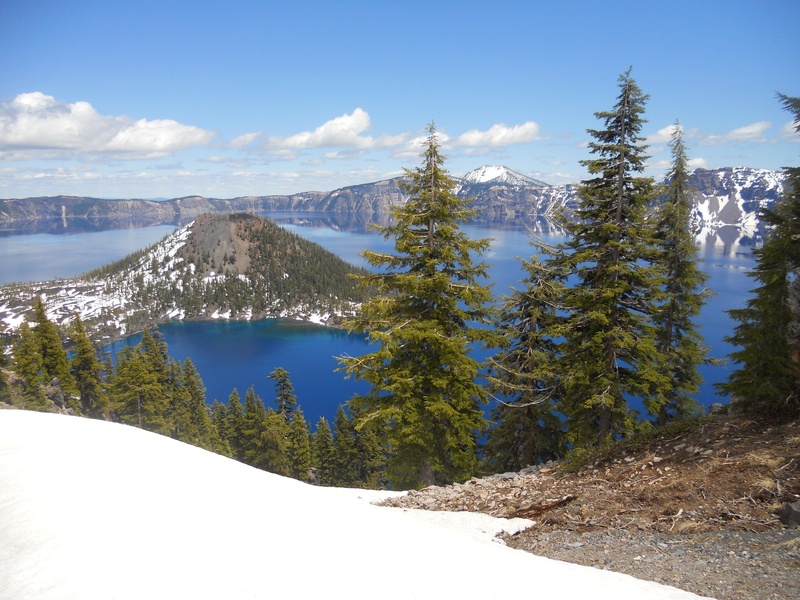 On my latest trip, I was fortunate enough to see Crater Lake. What a marvelous place for an Oregon vacation. My photos say it all. Enjoy! A National Park that stands out is Crater. 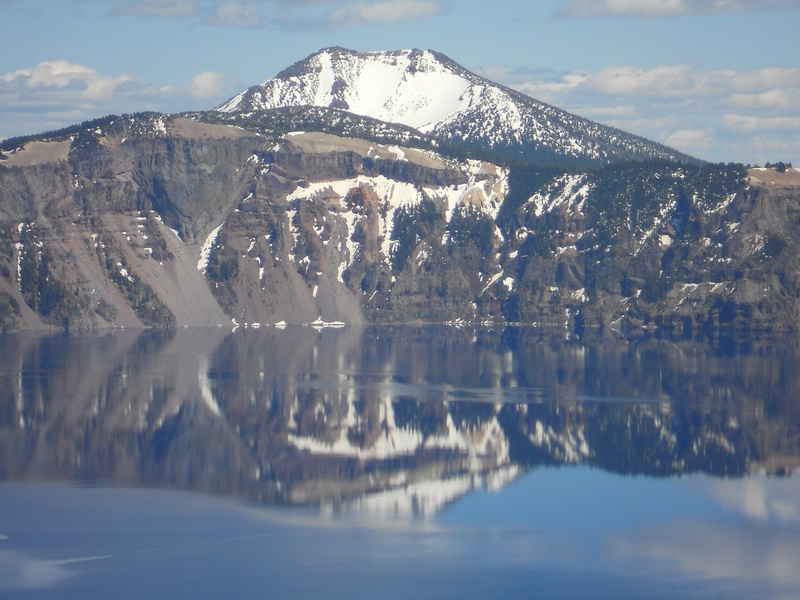 Wizard Island, named for its shape resembling a wizard’s cap, adds just one more interesting aspect for spectacular photography.
. Reflections on blue Crater Lake with Wizards Island. 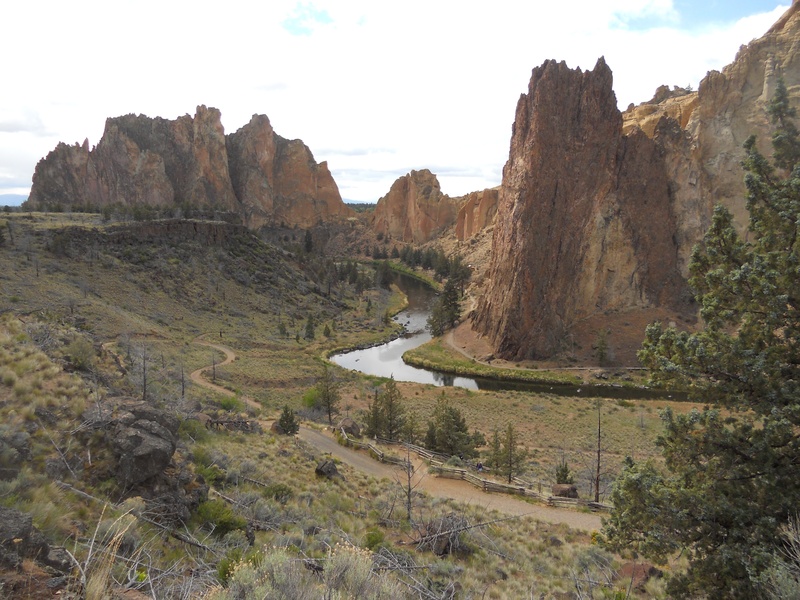 Smith Rock in Oregon is the home of some of the best Oregon mountain climbing. 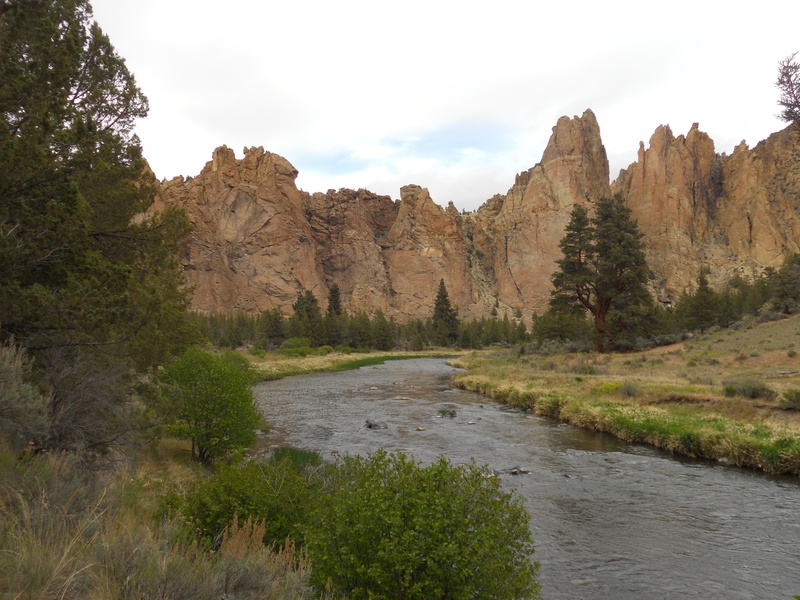 Panorama of Smith Rock from the bridge. These large wheels helped drag large loads of cut lumber logs prior to the bull dozer. 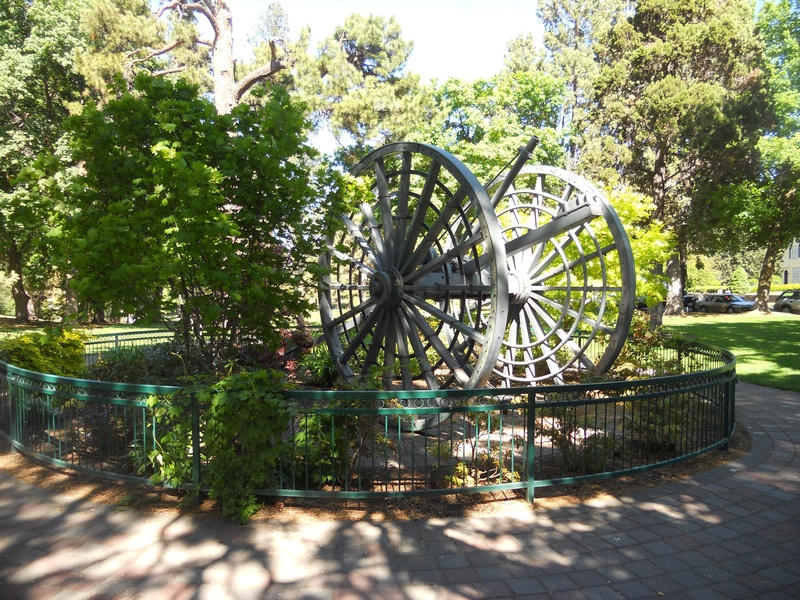 Crater Lake Park was established in 1915. 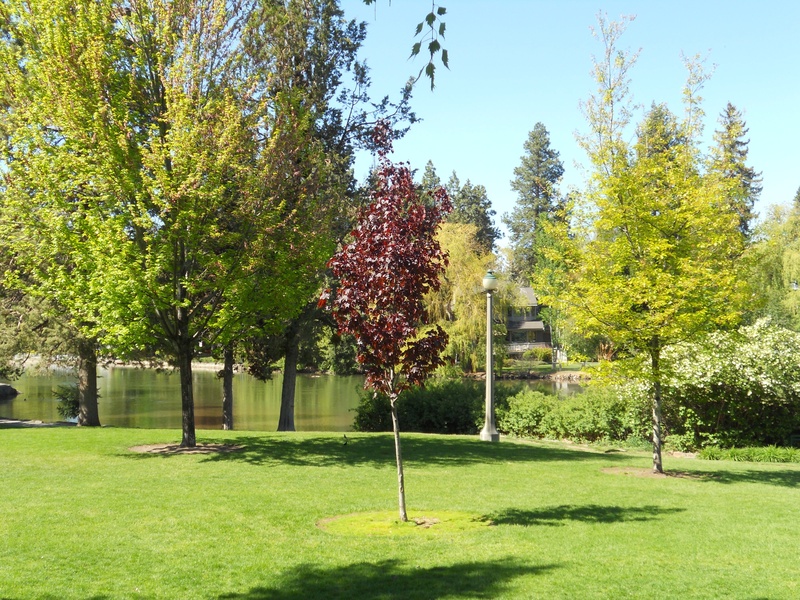 Downtown Bend, Oregon boasts Pioneer Park, a beautifully groomed park with walkways and beautiful landscaping along the Deschutes River. Recently upgraded, it sports exquisite urban pathways of brick throughout. 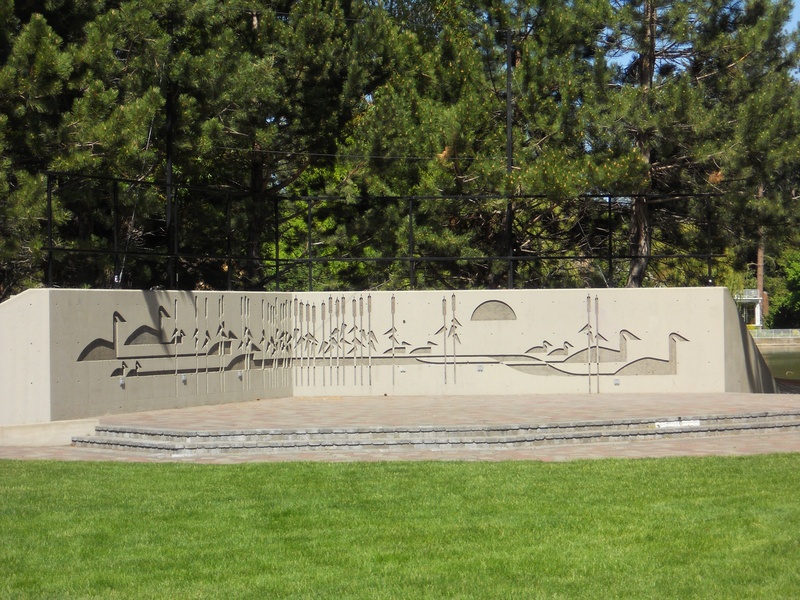 The City of Bend appears to be on course to perfecting a progressive, proactive, people-centered living area that will be a centerpiece for urban planners for years to come. 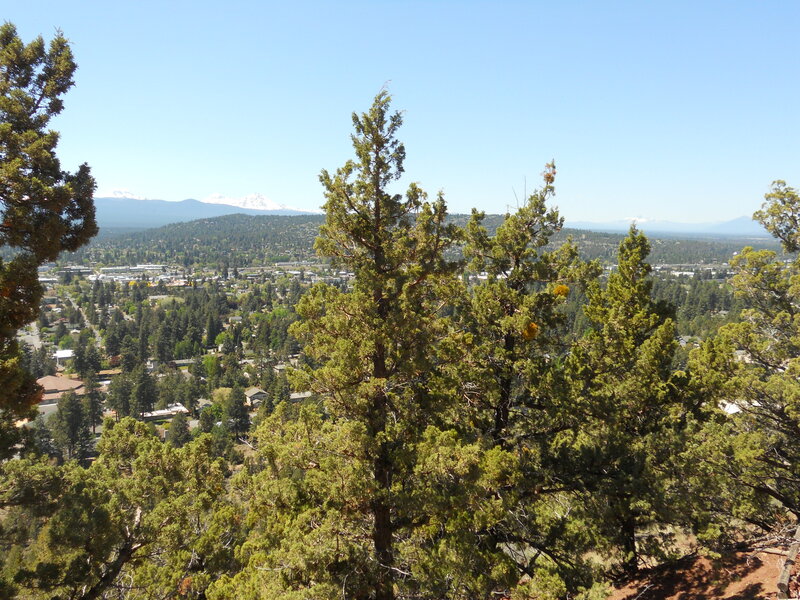 View from Pilot Butte overlooking Bend, Oregon. 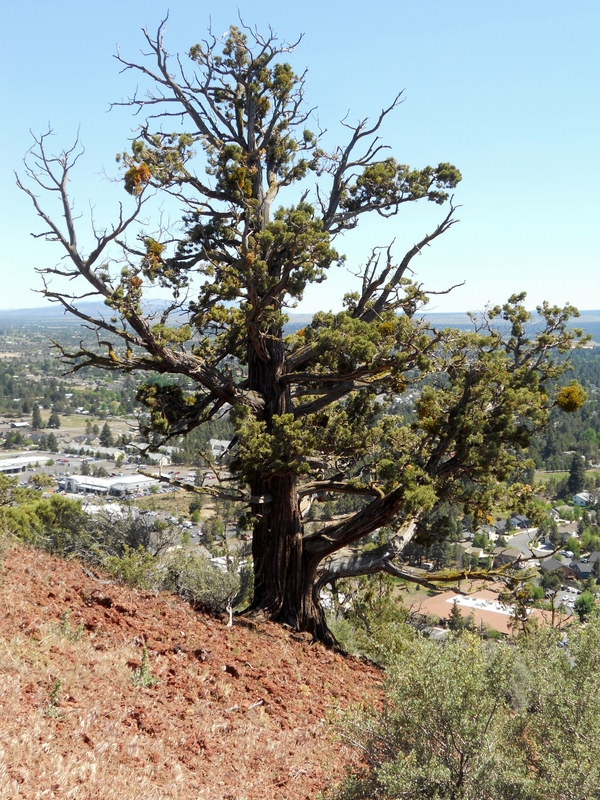 Wonderful Juniper cover the butte. Their trunks are like sculptures, living or dead. 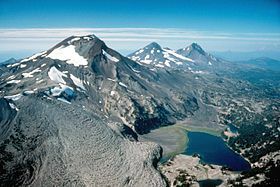 Three Sisters Mountains, part of the Cascade Volcanic Arc, photographed from the south.